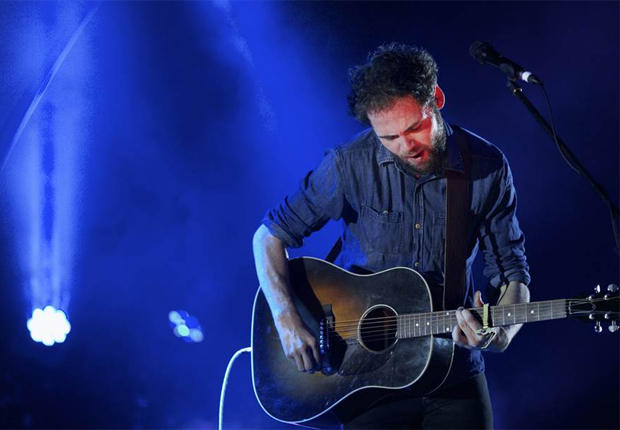 It’s been a hell of a year for UK-born singer-songwriter Michael Rosenberg, AKA Passenger, and Perth has been happy to be a part of it, judging by the sell-out 2000+ crowd that came to see his final show for 2013. Proceedings were kicked off by his long-time travelling companion and friend Stu Larsen, who was greeted with such warmth and familiarity it was clear there were more than a few repeat customers in the audience. Larsen’s original material might suffer from being a little formulaic, but his cover of Coldplay’s Fix You demonstrated his love of a good melody stripped of pomp. When he hits his stride, he may be one to watch in his own right. Passenger, on the other hand, is well and truly there already. Whereas Larsen clearly loves folk tradition, Passenger marries the form to contemporary sub/urban life to make something that speaks directly to his audience. Plus, he’s clever and charming, which helps some. Perhaps it’s the years of busking, but he sure knows how to work a crowd – a stomped up version of Life’s For The Living riled them up before he made them pin-drop quiet as he went unplugged and un-mic’d for Blind Love. A classic bit of folk storytelling prepared the audience for a brand new song, Riding To New York, which can’t be done justice in review. But when Passenger takes you low, he does it gently and with heart. After that, the crowd just ate it all up — rising from their chairs whenever they were asked; clapping when they were asked; eventually singing on and in demand. In a way, the atmosphere was almost revival-style, with Passenger sharing the love of his craft with his people. If that’s a pretty naive way of looking at things, that’s his gift. For all Passenger’s cleverness and occasionally cynical wordplay, he is still a young man full of wonder at the world and his own life, proud of what he does yet obviously humbled that people appreciate it. While he describes his songs as miserable, there’s a lot of celebration in there too. There are far worse things people could be listening to than Passenger — such as whatever the hell Coldplay is these days. Hell, he even does a more than passable cover of Daft Punk’s Get Lucky. Dawwww.